This level has easy difficulty as you can easily make special candies now because you already completed lot of previous level. 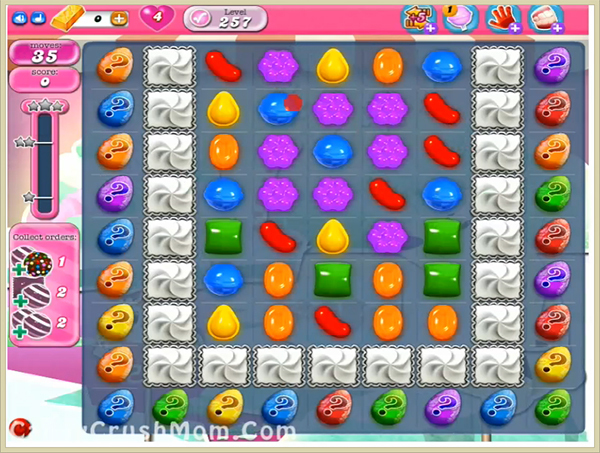 For this level first try to make colorbomb that is harder then other special candy and make combo with striped candy then make wrapped candy combo with striped candy and then complete last order to easily complete whole requirement within less moves. We completed this level with 116200 score using same technique that we share above and got three star score score plus reach requirement before 10 moves.